CPT is a 3-month course providing in-depth training and preparation for Field Staff preparing to launch overseas. CPT will be focused field training on: 1) the five competencies of field staff, 2) leadership development, 3) Antioch movement Church Planting Intensive training, 4) customized training to optimize trainees development. CPT is pre-field training for those who have provisional acceptance from the church elders and GO Team for a church planting field position. Provisional acceptance is granted through CP Application phase. CPT takes place every year from September to December. 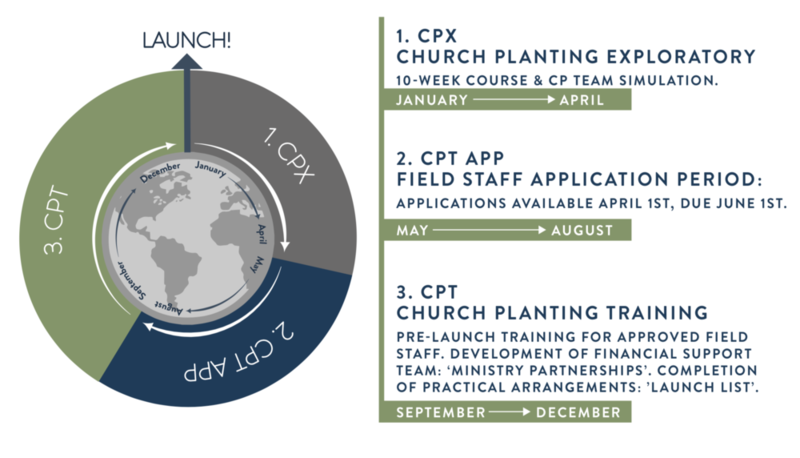 The CPT course also includes a weeklong Antioch Movement integrated Church Planting Intensive Training. Trainees are responsible for travel and lodging expenses to the movement integrated training.